Searching for your very first home can be incredibly daunting, especially if you don’t know what to look for or whom to talk to. Worse yet, failing to learn about the basics of buying a home could leave you with a regretful purchase that requires ample work in the form of costly renovations. If you are like many first-time homebuyers, then you are probably overwhelmed by the thought of searching for your first home on your own. That’s why, in today’s article, we will be outlining some of the many different things worth considering when purchasing your first home so that you can be confident in your decision when it comes time to sign your real estate contract. Homes & Loans is California’s top real estate agency with more than 30 years of continued success in buying and selling homes in Los Angeles, as well as the surrounding areas of the San Fernando Valley. With a number of properties to choose from on our online property database, we offer the most to our clients in terms of location, amenities, and value. From first-time buyers programs and FHA loans to reverse mortgages and jumbo loans, we continue to remain as one of the top resources for buying and selling a home in Los Angeles. 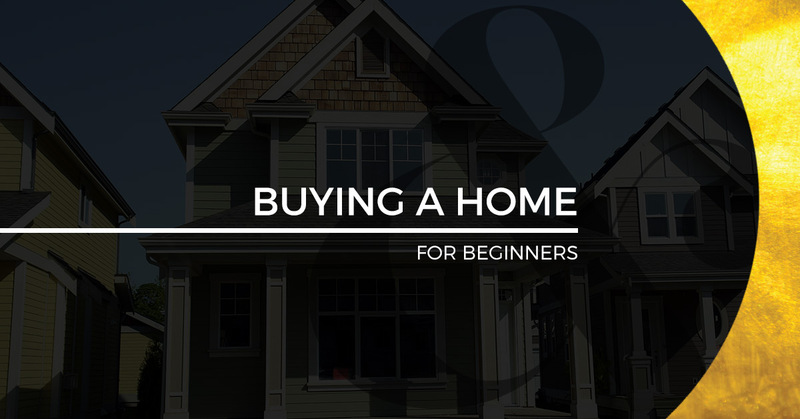 Consider learning more about some of the best tips for first-time homebuyers below! Before searching for houses for sale in the San Fernando Valley, first consider whether the housing market currently favors buyers or sellers. In a buyer’s market, you will have more room to negotiate on a home’s asking price, due to the fact that there are not as many people that are looking to buy a home as there are people that are selling their homes. Alternatively, in a seller’s market, you may not have as much room to negotiate on the final asking price, as there are more buyers that are competing against each other for the same property. This is simple economics, as the housing market tends to follow the rise and fall of the United States’ current economy. For this reason, it is always a good idea to evaluate what kind of market you are searching in, so that you don’t start your home-buying search with unrealistic expectations. Your credit score is essential to being approved for a home loan, which will ultimately determine whether you are able to purchase a home or not. This is one of the reasons why it is imperative that you keep a close eye on your credit score when you are considering buying a home, so that you know exactly what kind of interest rate you can secure. Fortunately, if you have a credit score of 670 or higher, there is a good chance that you will be approved for a home loan. Like we mentioned above, however, the better your credit score, the better the likelihood of securing an interest rate in your favor. Failing to apply while maintaining a decent credit score will most likely lead to you having to make costly monthly payments. An endless list of amenities can be truly intriguing for first-time homebuyers, especially if you aren’t taking the home’s price tag into consideration. However, it is important to keep in mind that one of the biggest mistakes that first-time homebuyers make is purchasing a home that they simply can’t afford. While it may be nice to live in a lavish home, unrealistic monthly payments on your home often mean that you don’t have the finances to afford other things in life. Worse yet, if something needed to be repaired or replaced in your home, you may find it incredibly difficult to do so if you don’t plan financially for the future. Instead of maxing out your budget on your first home, consider setting reasonable expectations that will leave you with an ample degree of flexibility if something were to happen. If you have found your first dream home and you are ready to purchase a home in Los Angeles, then you will need to make a sufficient down payment in order to secure a reasonable loan. In current times, it is not unreasonable for individuals to make a down payment that is equivalent to 20 percent of the total cost of the home in question. In fact, many banks require that you make a 20-percent down payment in order for them to provide you with a home loan. Those that make a 20-percent down payment will tend to receive the lowest interest rate possible, while those that don’t will be required to pay higher interest rates. For this reason, it makes even more sense to live within your means when it comes time to purchase your first home. If you are thinking about buying a house in Los Angeles or the surrounding areas of the San Fernando Valley, then consider getting in touch with the real estate experts today at Homes & Loans. With more than 30 years of collective experience, we know that you will be pleased with all of the experience and knowledge that we have to offer you. To view our full list of homes for sale in Los Angeles, the browse our online property database located on our website today. We can’t wait to help you find the home of your dreams in the San Fernando Valley!